I was born and raised in Brockway, Pennsylvania. Upon graduating from high school, I chose Penn State University as my college to further my education and decided I wanted to be a professional golfer. I enrolled in the Professional Golf Management program and graduated in 2005 with a Bachelors Degree in Recreation and Park Management as well as obtaining a Minor in Business. 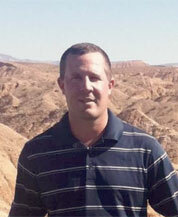 I am a Class A PGA member and enjoy playing competitive golf as well as playing with the membership.